The American Zionist Movement (AZM) is joining with our colleagues in the Department for Diaspora Activities (DDA) of the World Zionist Organization (WZO) to mark שבת ירושלים – “Jerusalem Shabbat” on May 11-12, 2018 (27 Iyar 5778), Parashat Behar-Bechukotai (as read in the Torah in the Diaspora). This is the day before we celebrate Yom Yerushalayim (on Sunday May 13 – 28 Iyar) and two days before we mark the 70th “secular anniversary” of Israel’s founding on Monday, May 14. This is a continuation of the “American Zionist Shabbat” initiative which was launched by AZM in October 2017 under the “Year of Zionist Anniversaries” which culminates in celebrating Israel@70 in 2018. 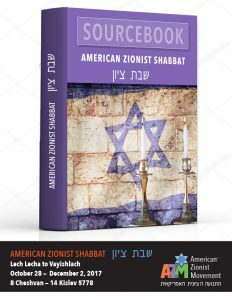 Below you will see links to some resources specific to this special May 11-12, 2018 Shabbat and weekend, as well as the text of the Source Book for the American Zionist Shabbat which contains many appropriate general resources on Zionism. These and other resources are available from the WZO at https://myjerusalem.info/ and from AZM at www.ZionistShabbat.org. This is an opportunity for all to celebrate Jerusalem and Israel@70 (and our families, as it is Mother’s Day weekend). This year we also recognize an important American connection to Israel and Zionism, as signified by the 70th anniversary of the United States recognition of Israel by President Truman on May 14, 1948.  The American Zionist Movement has launched a series of programs in 2017-2018, which we have described as the “AZM Year of Zionist Anniversaries”. 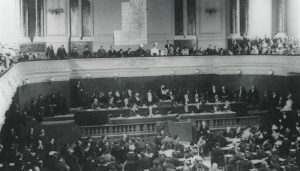 As we mark 120 years since Theodor Herzl launched the modern Zionist movement when he convened the first Zionist Congress in Basel, we will also celebrate major milestones this Fall during this Jewish year 5778. Therefore, AZM is launching a new American Zionist Shabbat initiative over the period of each Shabbat from Parshiot Lech Lecha to Vayishlach (October 28, 2017 through December 2, 2017). These weeks coincide with the Shabbat before the Centennial of the Balfour Declaration until the Shabbat after we commemorate 70 years since the United Nations Partition Resolution adoption (8 Cheshvan- 14 Kislev 5778). AZM has begun this initiative, a resumption of the Zionist Shabbat/Shabbat Tzion program that AZM and the World Zionist Organization conducted in the past, in order to have greater dialogue within American Jewry on the significance of Zionism and its continuing relevance to our people and community. We hope that during these weeks, and commencing with the Shabbat of Parsha Lech Lecha – the journey of the Jewish People – Rabbis will speak about Zionism in their sermons, drashot and writings; day schools, yeshivot and Hebrew schools will connect their students to Zionism as related to the weekly Torah readings; and, that congregations, community organizations and Jewish institutions will share materials and encourage programs and discussions on Zionism. 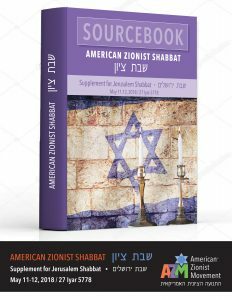 AZM has compiled this initial Source Book, drawn from materials developed and shared by our AZM organizations and others, to each of whom we express our thanks and appreciation for their leadership and dedication, in order to provide a resource for conversations on Zionism during this period of American Zionist Shabbat. 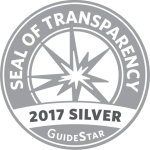 We will continue to grow and expand this guide and program through these weeks, and in coming months and years, and encourage others to share sources with us at azm@azm.org. As we have seen Zionism attacked from various groups and people in America, it is important that Zionists of all backgrounds come together in our united support for the State of Israel as she enters her 70th year. That is what happened when Herzl first brought together abroad coalition of Zionists 120 years ago to build the movement which would lead to the establishment of a Jewish state in our ancestral land. Today Zionism is very much alive as we connect Jews worldwide with our homeland and as we continue to support the vibrant democracy, culture and contributions of Israel and the Jewish people. Please note: materials have been presented to AZM by our member organizations and others as resources and “food for thought” on Zionism. Inclusion of these resources here does not imply any official or full endorsement by AZM of all of the content. What does it mean to speak of Zionism in a Shabbat d’rash or d’var Torah? I am referring specifically to an attempt to infuse a Zionist message into talk about the parashah, rather than departing from the text. We should note first that drawing a Zionist theme from a parashah – any Torah portion – is not obvious. The Book of Genesis focuses primarily on those personalities that become the People Israel. It is a family drama, and the principal motifs that are drawn from its chapters often center on interpersonal dynamics. The balance of the Books of Humash – Exodus through Deuteronomy – focus on Torah as instruction and the revelation that occurred at Sinai. Sinai, most significantly, is located in the wilderness, Midbar, a place that is nowhere, and therefore can be anywhere. And the revelation itself is inscribed on tablets of stone that Moses can carry down from the mountain. An extended stretch of the Book of Exodus is given over to a detail description of a mishkan, where the tablets will be housed in an Ark and the priestly administrations performed on behalf of the people will take place. The principal feature of the mishkan is its portability. It can go anywhere! In the balance of Scripture, Sinai (or Horeb) is mentioned a mere nine times. After the first few verses of Joshua, Moses is not mentioned at all. As Sinai disappears, it is replaced by Zion, a fixed place where God and Israel may meet. The word “Zion” is not found at all in Torah! Tanakh is rooted in the Land, but Torah is not. Even the haftarot, drawn as they are from the balance of Scripture only rarely refer to Zion. The reading of Torah and haftarah in the Synagogue is designed for a people scattered around the world. The foundation for the Jews is the portable scroll. Zion is an abstraction, a place set aside for a messianic time. Even though many synagogues have added the language that “it is beginning of the flowering of the days of the Messiah” in order to acknowledge the restoration of the Jewish State, Zion, from the Scriptural point of view, remains stubbornly in the future. What can we glean from our Torah readings that we may apply to today? When reading Torah in the synagogue, the Land is rarely in the foreground, but it is always in the background. Consider the lives of Abraham, Isaac and Jacob as narrated in Genesis. In the parashiot Lekh L’kha and VaYishlah, Abraham and Jacob have travelled outside of the Land, to Egypt and Aram respectively. They both have been impelled to do so because remaining is inhospitable. In Abraham’s case it is famine, for Jacob it is the enmity of Esau. While away, they both enrich themselves. Egypt and Aram have been very good for them materially. Yet, both return to the Land! What compels this return? Isaac, on the other hand, never leaves. Poignantly, parashat Hayei Sara, suggests that he nonetheless moved away from his parent’s home and dwelt in Beer Lahai Ro’I, the spring associated with Hagar and Ishmael. Ishmael, Isaac’s half-brother, we are told, is both one who is free to roam far and wide, and also the prince of twelve nations. Isaac feels the urge to roam as well, and yet he does not. He steadfastly remains rooted to the Land. In the characterizations of the three Avot, the Land is not a source of material wealth, nor is it the basis of emotional security, and yet it is an irresistible draw. From the tales of Genesis, we may conclude that the Jewish connection to the Land of Israel cannot be expressed in either a material or emotional bonding. It is deeper and more ineffable. Zionism is predicated on the notion that Jewish identity cannot be reduced to devotion to Torah or personal sense of relatedness to other Jews. 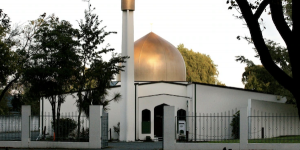 Both are indeed essential and are the principal qualities that draw one to the synagogue. Inexorably, however, Jewish identity is also tied to a powerful, if occasionally elusive, tie to a particular Land. The tie is not the proverbial “milk and honey,” nor the innumerable songs of Zion intoned by the waters of Babylon, nor even the command and promise of the Eternal. It is found in the meaning of being a Jew. I will remember My covenant with Jacob, I will remember my covenant also with Isaac, and also My covenant with Abraham, and I will remember the Land. The order, I believe, is important. It is chronologically reversed, and thus reminds us that before there is Israel, there is the Land itself. Parshat HaShavua – featuring a different Religious Zionist rabbi each week from around the country to share a Dvar Torah.